Our entire family clears its November calendar for NaNoWriMo. 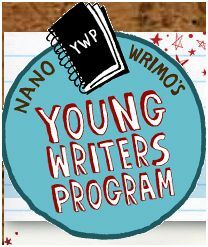 For the young 'uns, it's the Young Writers Program, where they pick their own novel length and play along with the big folk. This year, the youngest is aiming for 15,000 words. Will she, or won't she?